Falling is a lyrical character piece, almost a love letter, for Ben and Polly, and for the First Doctor near the end of his first life. Mrs Polly Jackson sits in her living room, recalling one of their strangest adventures many years ago. It’s a magical and slightly surreal episode, one of those times when Doctor Who dabbles in neither history nor science, but in mythology. Barnes’ script seizes on small moments to illuminate the unspoken, tentative bonds of affection between Ben and Polly, “the Sailor” and “the Duchess,” two young people separated by class but united by their travels. 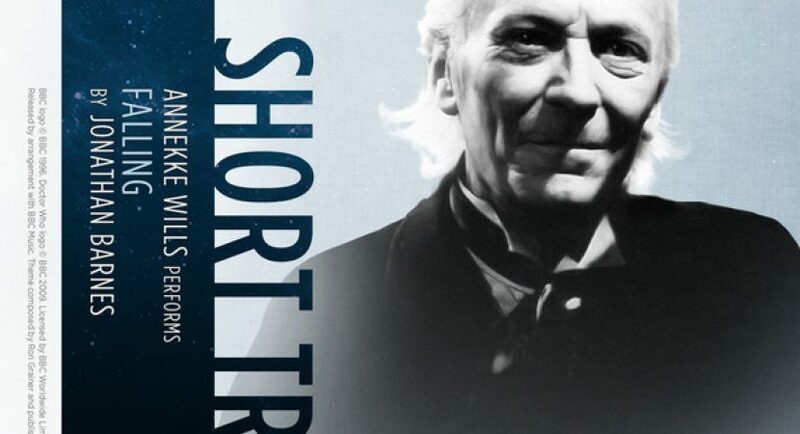 It’s also a great study of the First Doctor at the end of his run, showcasing his whimsical inquisitiveness, his maddening know-it-all vagueness, his flashes of temper and dogged courage. Anneke conjures up both of their voices and characters with insight and familiarity. Despite the standard “Doctor and crew play good samaritans” plot, not all that much happens in this story. Nevertheless, it captures that flavour of wonder and eeriness which characterised early Who, from the takeoff sequence in Unearthly Child to the better parts of The Web Planet. Most of all, Anneke Wills shines through her Polly persona. She’s obviously fond of the character, who’s grown older and wiser along with her. And her regard for her old friend Michael Craze translates into a warm, charismatic portrait of Ben Jackson. I love Anneke’s voice, which reminds me of a soothing cup of cocoa. I was predisposed to like Falling, because I remember how excited Anneke was about it, telling fans at Regeneration Who to look out for this story almost a year before its release. She was pleased about Ben and Polly winding up together. It feels like a natural, incremental progression from their circumspect onscreen friendship. Also, I simply appreciate the unapologetic thread of goodness woven into this story. Sometimes Doctor Who loses sight of that in its attempts to be dark, gritty, and unsentimental, but these days we could use a little more sincere kindness and beauty to offset the polarised dystopia playing itself out on the nightly news. One teeny tiny nitpick: I wish someone at Big Finish would go back and fix the spelling of Anneke’s name on the digital cover art!